The ITC extension helped the industry refocus on its long-term future, rather than a short-term goal of installing as much as possible before the end of 2016. The extension gives developers much more runway to plan through 2022. The companies SEFA has worked with feel much more relaxed about having sufficient capital and the financing they need to meet their goals. Looking ahead, PPAs, leases and loans will continue to be used to finance solar in 2017. Here’s a close look at how some options are trending, along with the continuing emergence of more commercial financing solutions and solar+storage projects. Solar leasing continues to be one of the most important tools for deploying solar. It’s convenient; the customer puts next to no money down in return for 10% to 20% savings on their energy bill. Also, because the system is owned by the developer, customers don’t have to worry about maintenance or repairs. The lease was especially key to mass solar deployment in the early days of rooftop solar when installation costs were a lot more expensive. Improvements in solar equipment and installation have contributed to a 63% reduction in installation costs since 2011, which is quite remarkable. A solar array has become a much more affordable item. 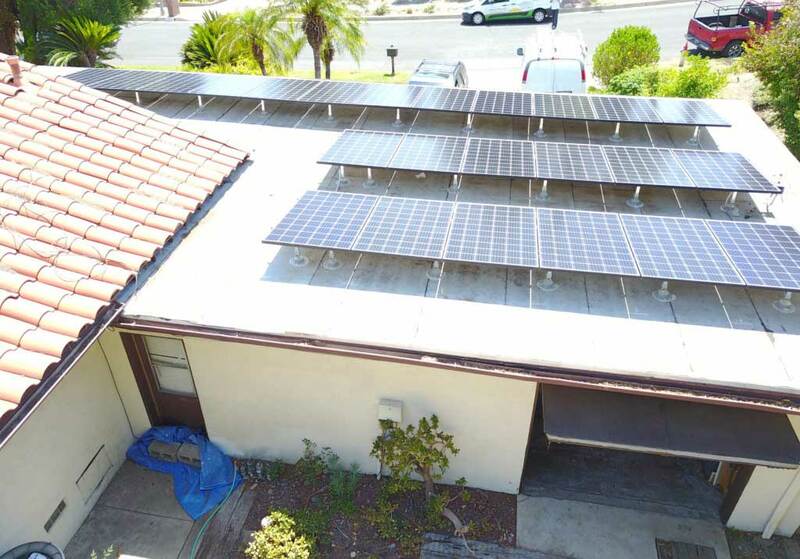 For some customers, the monthly payment on a loan to own the system is about the same as what they’re paying on their energy bill, which is leading to a growth in solar loans. Customers are increasingly wanting to own their system and feel they’re getting 100% of the ITC benefits and the energy produced. As loans gain popularity, solar leases are dropping from about 80% of the residential market to 60% or less. But this is a positive development because it shows the industry is evolving and able to offer more products to meet the different needs of its customers. The C&I market has been the toughest nut to crack, in terms of financing. Commercial projects are all unique with different locations, sizes and off-takers. It’s difficult for investors or lenders to make the economics work. Still, the industry views this as the biggest untapped market because there are so many commercial rooftops. At SEFA, we spent a lot of time looking at this area and facilitating solutions. Commercial solar installations are good projects and usually find financing eventually; they just have a more difficult time getting financiers interested. One solution has been the deployment of warehouse financing. This short-term financing allows the developer to pool projects together and begin them over a period of time. Pooling projects often attracts some of the larger, more sophisticated financing sources. This short-term financing allows developers to get projects started and operational. Once projects are complete, investors and lenders see them as lower risk, making it easier for developers to refinance the short-term operational debt into long-term debt or securitization at a lower cost of capital. In 2015, the industry was looking toward solar ownership with storage as the next frontier for solar, and we’ve started to enter that—it’s amazing what a little more than a year will do! We are seeing a rapid evolution of battery technology in renewables driven by the EV industry as well as the solar industry because of the need to manage its variable nature. Right now, it’s not economic for most home or business owners to buy battery technology. But we see solar+storage following a path similar to the early days when solar was expensive and leases helped make it more obtainable. Different solutions will evolve, such as owning just the solar system and leasing the batteries. People are working diligently to find solutions to address the whole solar energy picture and its interface with the grid. The techniques to finance equipment have been around for awhile and it’s a matter of rebranding and redesigning them to fit the needs of the solar+storage market.